While everybody knows that CRM stands for ‘customer relationship management’, CRM may mean totally different things for different people. For some CRM is about providing outstanding customer support. For others it’s all about pipeline management. For most it’s probably still just a better way to keep track of your customers. And there are lots of other parts to CRM – marketing campaign management, sales automation, reporting, lead capture and nurturing. 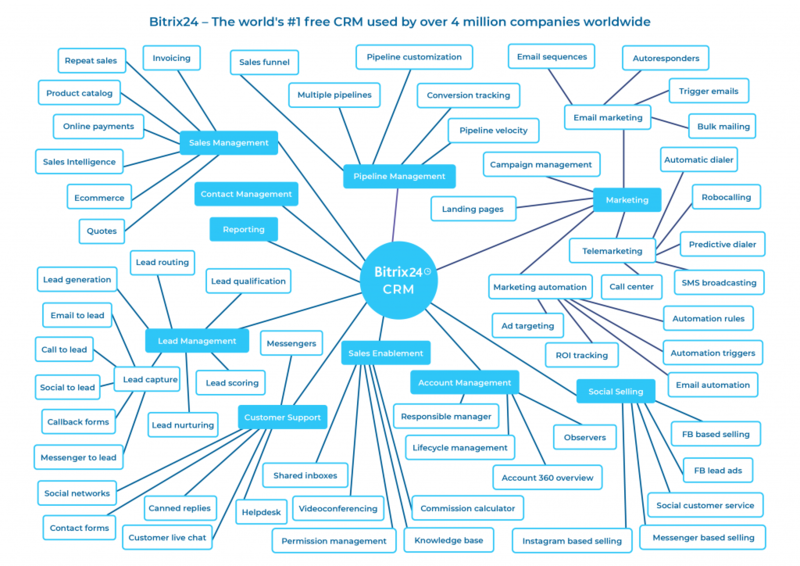 Because Bitrix24 CRM is quite powerful (and free, thank you very much), we’ve compiled a ‘CRM mindmap’ so that you are able to understand all capabilities available to our users. This mind map looks a bit different, because we wanted to make sure that it fits any screen and is printable, but we hope you’ll find it helpful. 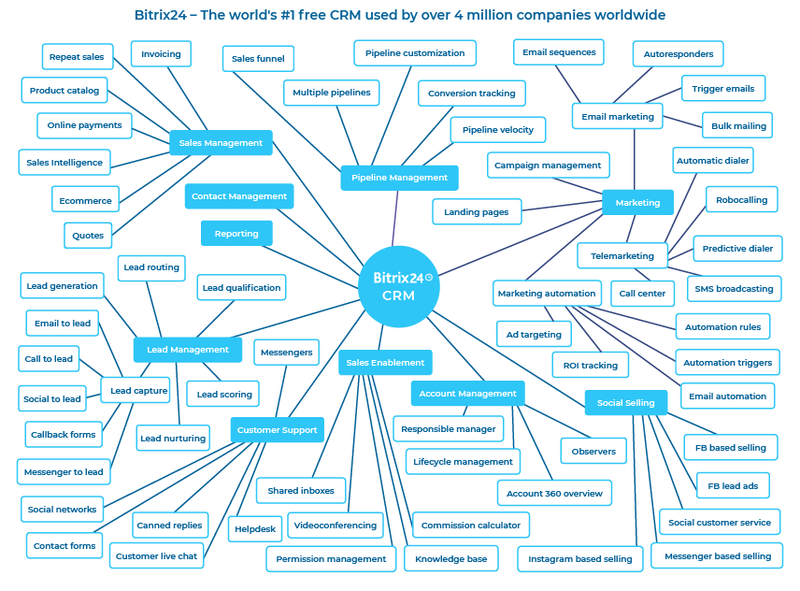 Please follow the link to see a full-size CRM mindmap.